Quality Local Auto Repair in Smithfield | Johnson's Tire & Auto, Inc.
Johnson's Tire & Auto, Inc. has been serving Smithfield area drivers for over a decade, providing high-quality auto repairs with a smile. We pride ourselves in being not only your locally-owned, family-operated auto repair shop, but also in being your personal garage. Our customers know us, and we know them. We work together to make our community better, starting with the vehicles we drive—because when you have a clean, honest, friendly place to bring your vehicle when it needs service, taking care of your car isn’t an inconvenience. It’s satisfying, and your satisfaction is our goal. Our Mission at Johnson's Tire & Auto, Inc.
We, at Johnson's Tire & Auto, Inc., strive to make your visit to us a pleasant one. We want you to feel like you are part of our family, not just a number. It is our job to make sure that your vehicle is repaired with the best products by the best technicians at the best price possible in a quick and efficient manner. 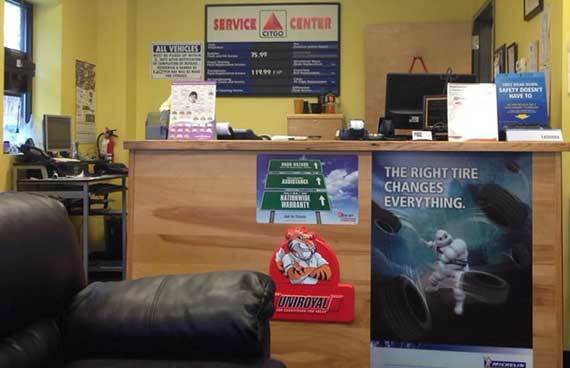 From Tires to Timing Belts, We’ve Got Your Car Covered! At Johnson’s Tire & Auto, we provide all the general auto repair and maintenance services you find at most car dealerships and franchise service centers, but none of the pushy sales tactics. Our staff is honest and genuinely concerned about your needs—big or small. We also have the experience, knowledge, and technology to solve the toughest automotive puzzles, so bring your electrical mysteries and diagnostic questions to us as well. Our goal is for you to have no reservations about recommending your friends and family to us. Our work is our signature, and your word is our best advertisement. From Car Delivery to Coffee, We’ve Got You Covered! If you can’t get your vehicle to us, or you can’t get to our shop, we gladly offer pick-up and car delivery service. For early risers, we open at 7:30 am, and if you need to leave your vehicle afterhours, we have an overnight key drop slot. If you’d like to hang out here while we work on your car, we have a clean waiting area with comfortable seating, free Wi-Fi, coffee, and refreshments. 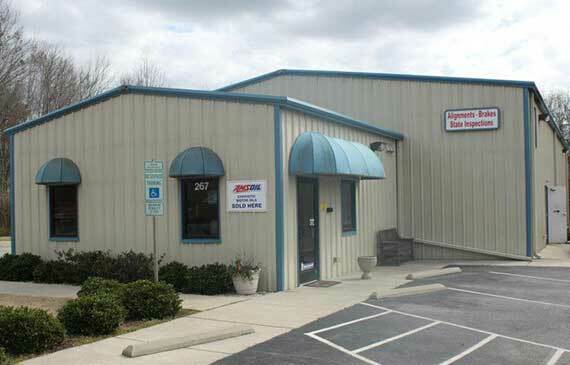 Our shop is conveniently located just two miles from downtown Smithfield at 267 NC Hwy 210. Like our customers, we’re proud of our small-town values and personality. We also serve drivers from all over the area, including the communities of Clayton, Selma, Four Oaks, Wilson Mills, Pine Level, Princeton, and Garner. Bring your vehicle to Johnson’s Tire & Auto, and become part of our auto repair family! We proudly support our troops and law enforcement personnel. We offer 10% off with an ID (excluding tires).